Generally, many case makers like to feature top notch, expensive high-end cases and seem to forget about the majority of people; those of us with a budget! 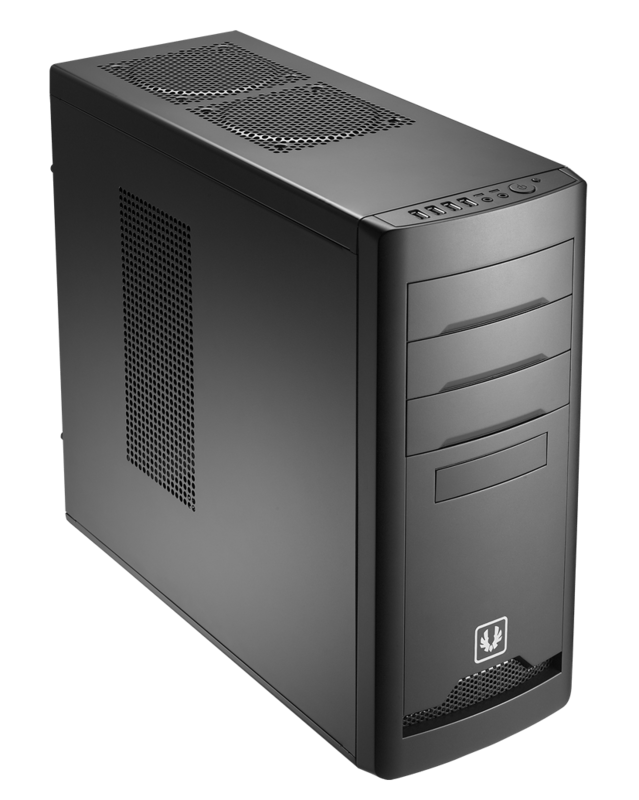 The market is flooded with cheaply made, low-cost cases that many just settle on purchasing because they can’t afford cases by Lian Li, Silverstone, Zalman, or any of the other top end brand names. Recently, BitFenix has been making some waves by producing their Colossus with the soft touch element. Luckily for us, they want to continue their ways and offer a well designed inexpensive option for us named the Merc Alpha. 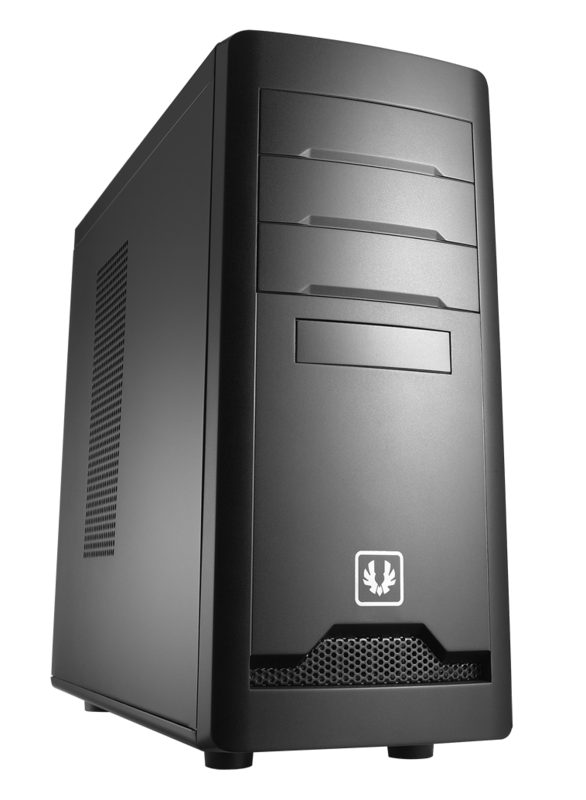 First, the Merc Alpha is a steel and plastic ATX chassis that varies only slightly from its sibling, the Merc Beta. 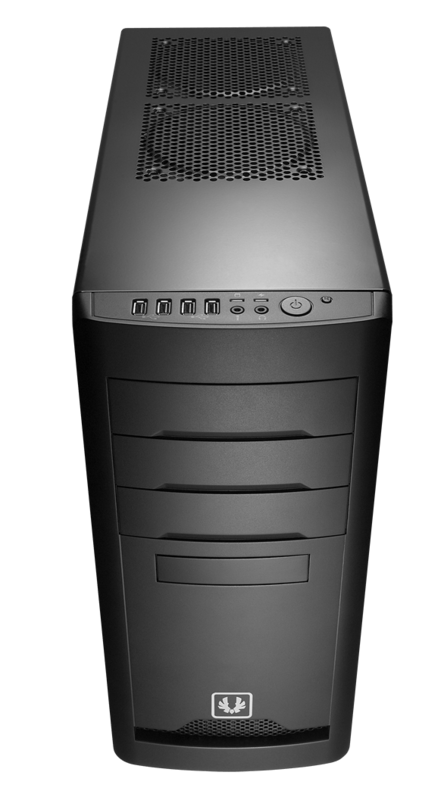 The differences between the two are related to the ability for installing dual top mounted cooling fans. Other than that, the two variations are identical. The Merc Alpha and Merc Beta chassis are designed for gamers on a budget. Commonly, budget chassis are made of plastic and thin sheet metal and feature poor paint, sharp edges, and low quality plastics. The Merc Alpha, with its flat black painted exterior and interior, is made of thick steel, quality plastics, and is free of sharp edges. 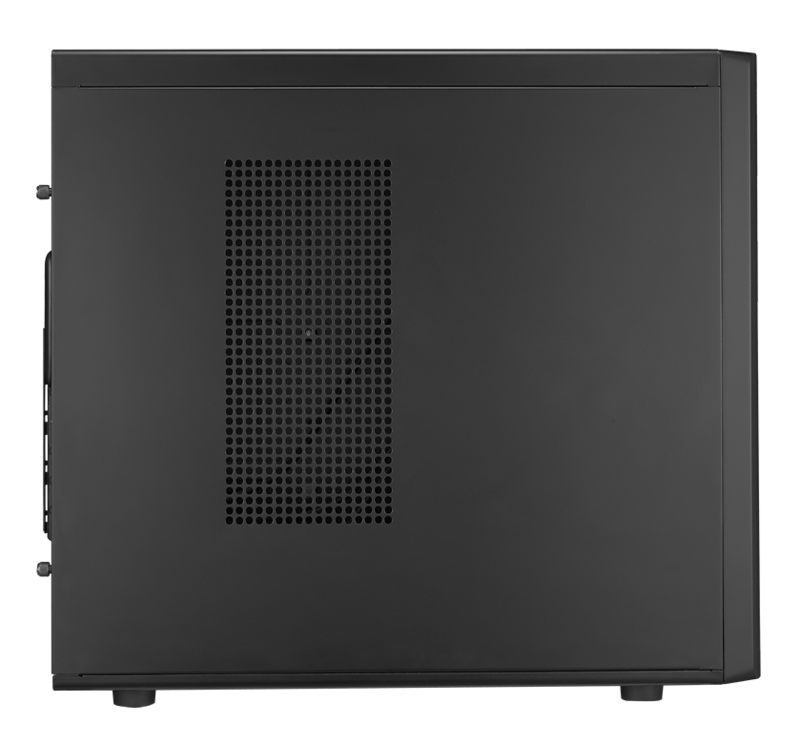 The Merc Alpha provides plenty of expansion possibilities with space for three 5.25 inch drive bays, six internal 3.5 inch internal drive bays, one bottom mounted 2.5 inch drive for you SSD lovers, and one external 3.5 inch drive bay. There are also seven rear expansion slots for various types of expansion cards. The chassis on a budget idea makes itself apparent by shipping with only one rear 120mm fan installed. However, you have the ability to mount two more 120mm fans up top, two 120mm fans up front, two 120mm fans on the side panel, and an additional 120mm fan on the bottom of the chassis. Considering this is a mid tower case measuring 439mm x 190mm x 490mm, that is enough cooling to create a small tornado inside. The top of the chassis not only features the dual fan options, only supporting 120mm fans, but is also the home of your Power and Reset buttons, headphone and microphone jacks, power and HDD activity LEDs, and four USB 2.0 ports. The top mounted controls are becoming more prevalent in chassis designs and is implemented well here in the Merc Alpha. Typcially, with low cost chassis, the Power and Reset buttons feel cheep and just don’t seem to fit well; the Merc Alpha doesn’t suffer from these characteristics.